While most people know the benefits of having a home security system, only 17% of American households currently have one. But, as one Idaho man recently discovered, having a burglar alarm might not be completely necessary. That is, if you happen to have a loyal pet squirrel. Six months ago, Idaho man Adam Pearl took in an abandoned baby squirrel — as one does — who he named Joey. Pearl handfed Little Joey with a bottle, and he has since become an important member of the household. But until earlier this month, Pearl had no idea just how devoted his bushy-tailed friend was to his adopted dad. When Pearl came home one day, he noticed things didn’t look quite right. He saw snow prints in the backyard, and found that doors normally kept closed had been opened. Upon further inspection, he found that someone had attempted to break into his gun safe and steal some of his firearms. Pearl contacted the police, and it took the department only a few hours to recover some of the items that had been stolen. The clue that helped officers find the culprit? Suspicious, squirrel-like scratches on the teen suspect’s hands. After being questioned directly on the source of the scratches, the suspect broke down and admitted that the squirrel attacked him and wouldn’t stop until he vacated the premises. Because he is a juvenile, police aren’t releasing the suspect’s name. However, the squirrel’s victim has been charged with felony burglary for allegedly breaking into four different homes. But before you ditch your conventional security alarm system for your own tree-dwelling rodent, it’s vital to know that squirrels don’t typically make ideal pets. 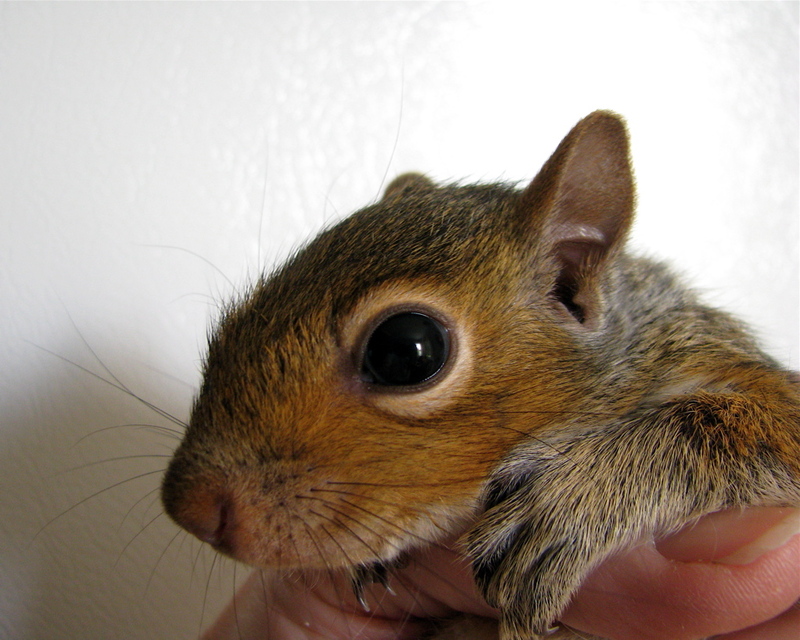 Their teeth and claws pose a danger to humans, and in some states, it’s illegal to keep a pet squirrel. In the wild, squirrels have two litters every year (one between February and April and another in August or September), so you might want to think twice before inviting a squirrel to stay in your home. By and large, only certified wildlife rehabilitators should care for these creatures. Still, the bond between Pearl and his squirrel is undeniable. And although you shouldn’t go out and buy a squirrel for security, perhaps it wouldn’t be so far-fetched for Pearl to make a warning sign to tell thieves his property is protected by a loyal attack squirrel.